I’ll cover DKH in another post. These are some pics of the different stuff that was going on during the day, to give you a flavour. 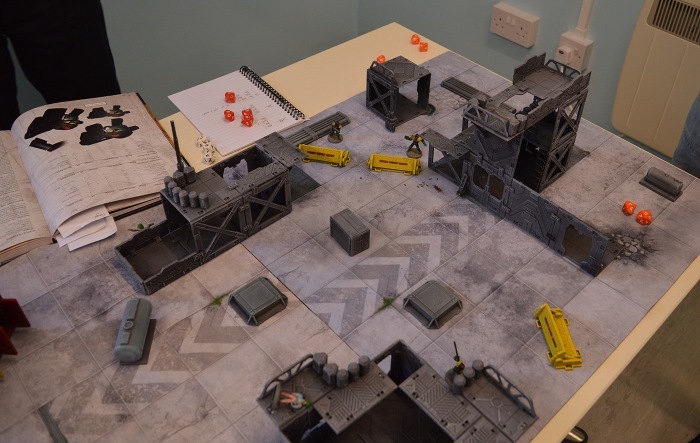 Project Pandora’s first scenario. When I last saw the highest Veer-myn body count was 26, I think. The Mars Attacks demo was so busy that I couldn’t get a photo till the end of the day when most people had left. 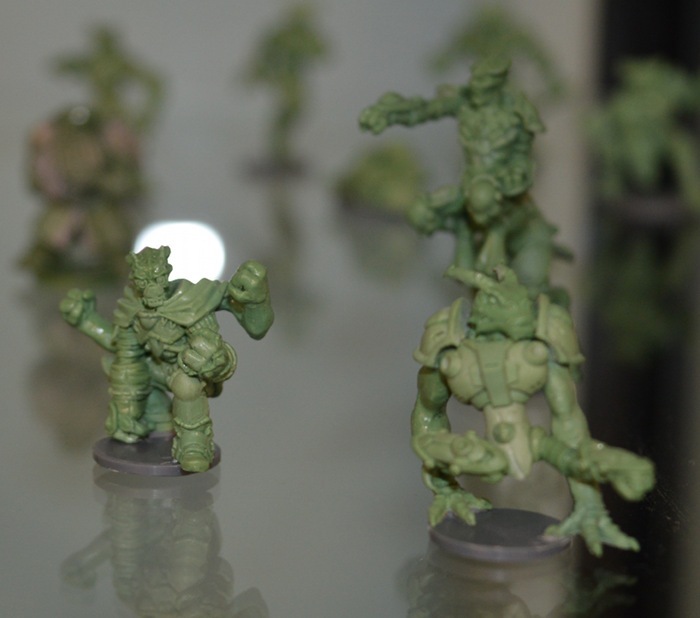 These are final production models. The people I spoke to seemed amused by the rate at which everyone died. And here is Deadzone. Apparently the rather swanky and very striking colour scheme on the scenery was based on a nightclub. 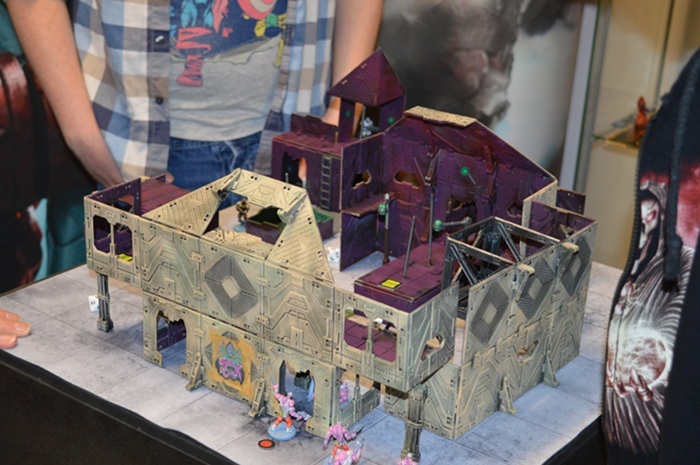 The chap who made it said he wanted to show you could build interiors with it as well as exteriors. 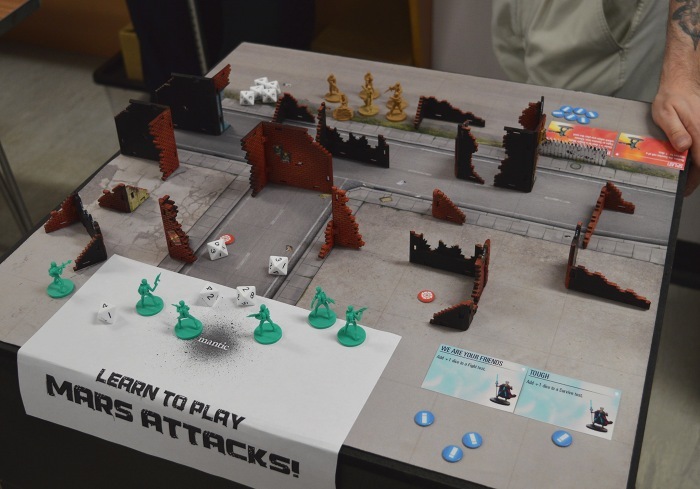 And last, but not least, here’s DreadBall. This, like the other demos, was busy all day with end-to-end sessions. 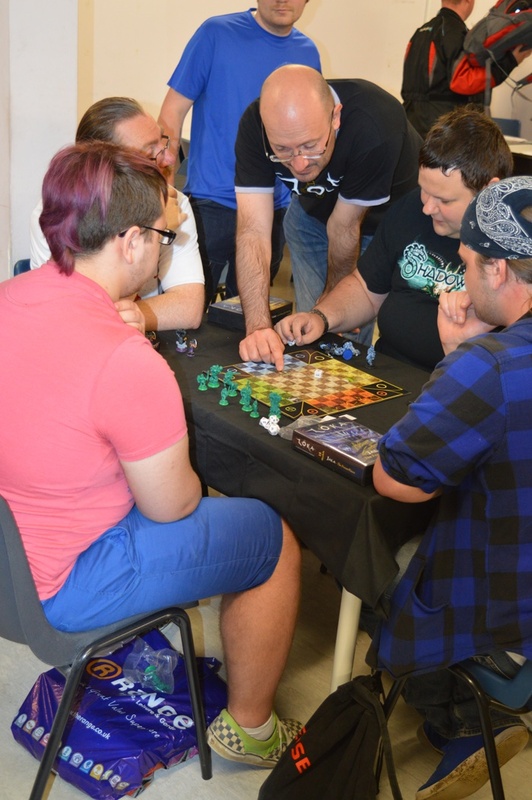 While the demos were introducing people to the games for the first time, veteran players took part in tournaments. 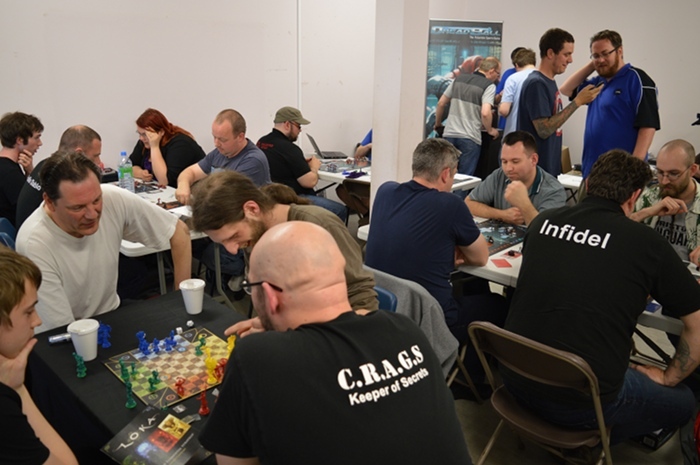 DreadBall and Loka don’t look very exciting when you’re not involved, so here’s just one picture of part of those tourneys. Lots of very earnest Coaches. I did see this rather nice Azure Forest DB board though. 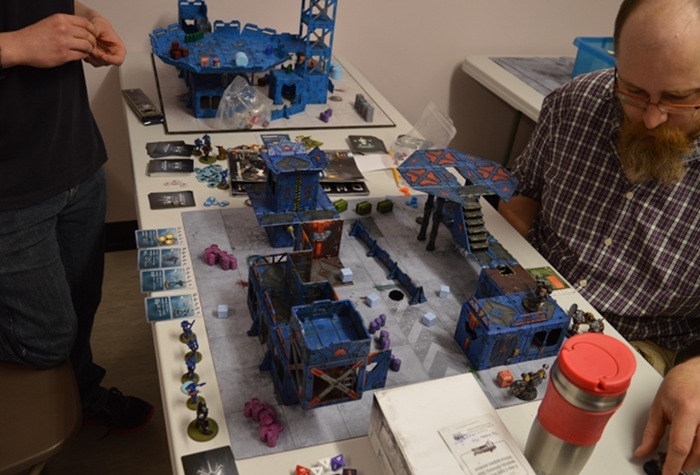 The Deadzone tournament had much more eye candy for the casual passer-by. 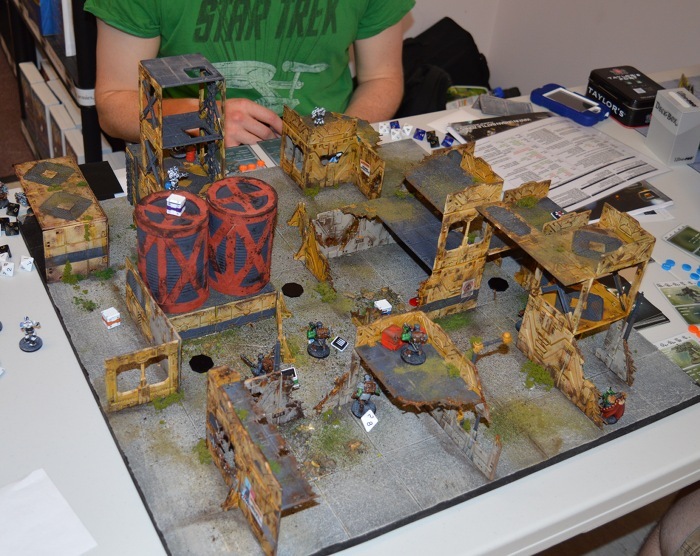 Each table was built by someone different and there were some really great-looking sets. 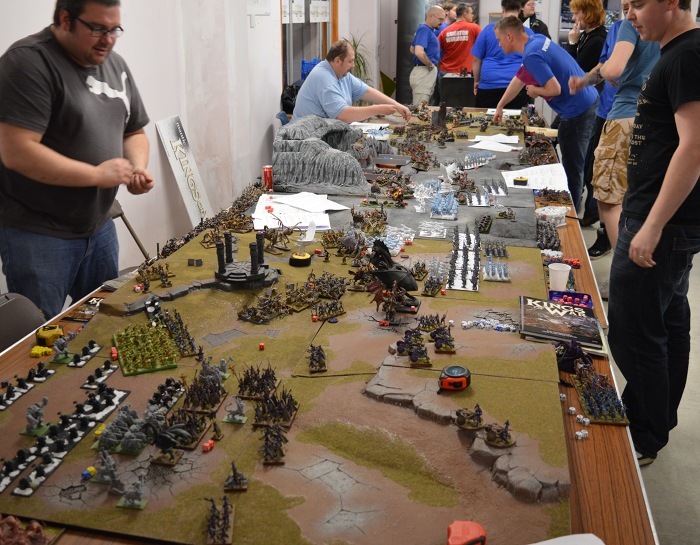 The Mantic HQ (where the open day was held) isn’t big enough to host a KOW tourney, so instead they ran a vast game. During the day more people arrived with extra armies, and these were fed into the fight as they turned up. That way the whole thing rolled back and forward all day. I was in seminars in the middle, so here’s a shot from the setting up and at the end. 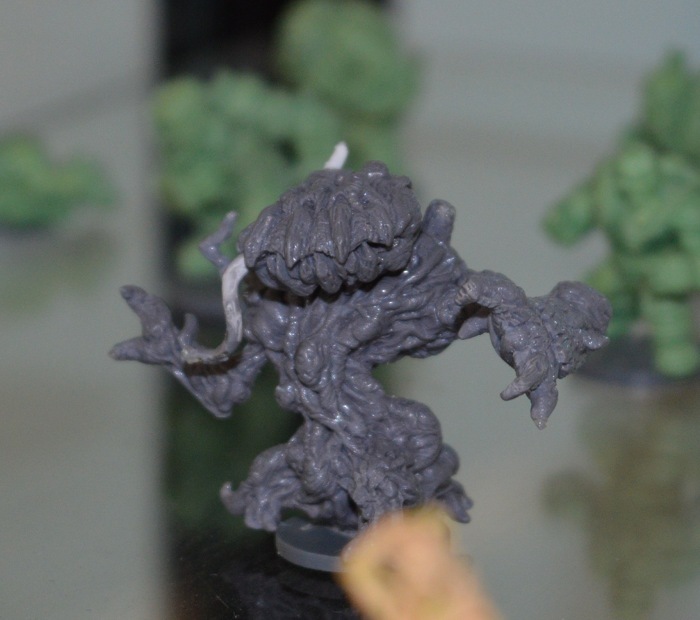 As always at these things, there were plenty of interesting miniatures on show. I’ll come back to the DKH ones in a later post. 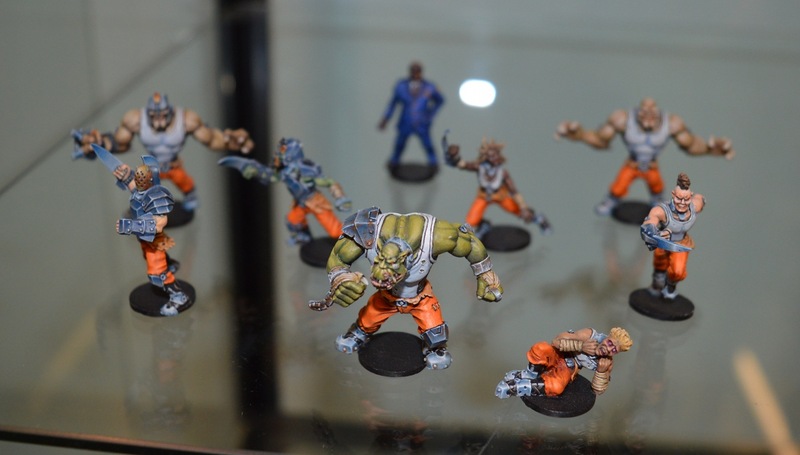 Here are some nice paint jobs on studio figures, plus the chaps who make and paint the things. A goblin (I think) on a giant lizard. And why not? 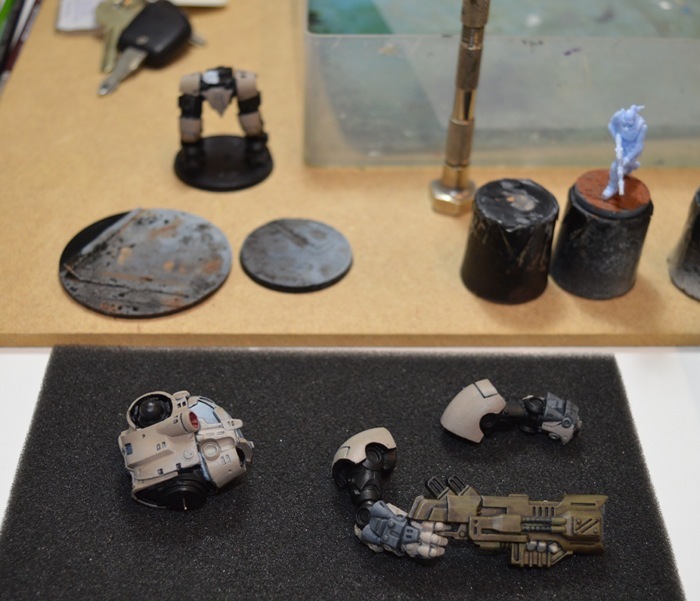 Dave was painting an Enforcer Strider for Deadzone. That’s a very big gun. A closer shot of the blue model in the previous picture. The female Pathfinder on and off her bike. The model comes like this, so in the game she can use the bike to close the distance, and then dump it and sneak into a firing position on foot. 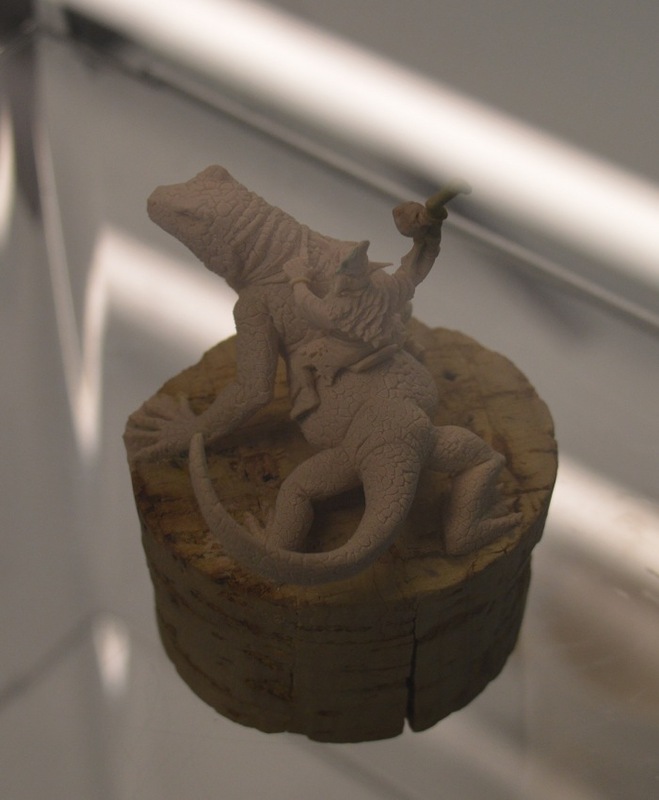 I think this is a 3D print. I didn’t take pics of everything in the cabinets, just the ones that particularly caught my eye. Here are a couple of examples of new greens. Aren’t aliens fun? 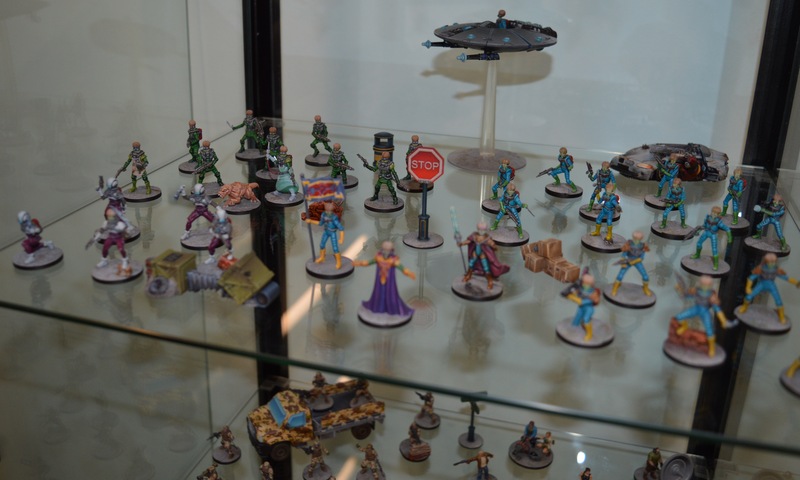 Lots of very nicely painted Mars Attacks stuff. You’ve probably seen most of this before though, so I wasn’t paying much attention. However, I did think these were rather nicely painted by Dave. I’m not a fan of NMM style myself, but the execution is superb. Click on this for a bigger version so you can see the details. Did I miss anything? 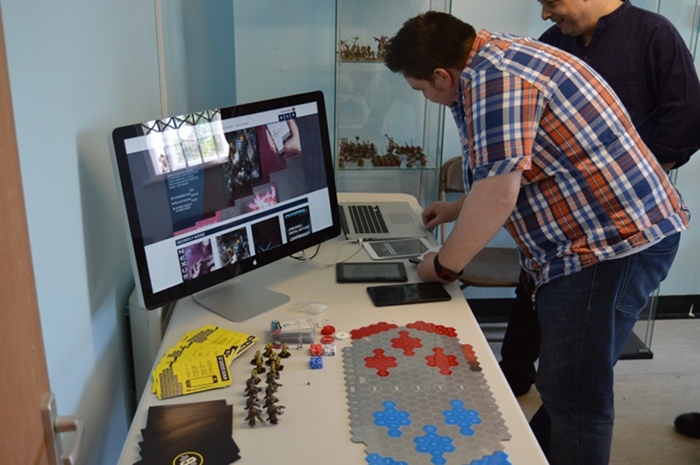 Well there were seminars with Ronnie and myself for much of the day, a shop with quite a few Mantic bargains (including crazy boxes), plus the busy chaps from Mantic Digital (below). Here they are starting to lay out a selection of different digital platforms to show off their wares on every size of screen. It’s early days for digital helpers in the trad gaming world, and I always like talking to these guys as they are so open to exploring and expanding what’s currently available. I’m expecting some great things from them. 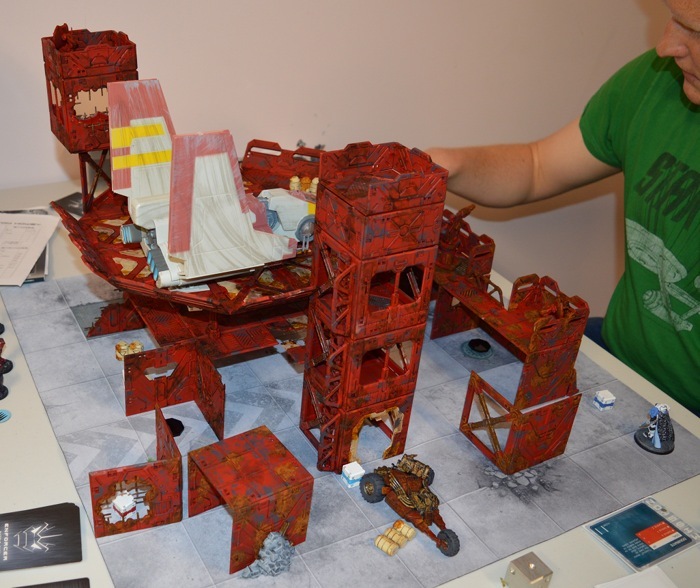 This entry was posted in Deadzone, DreadBall - The Futuristic Sports Game, Events, Mars Attacks!. Bookmark the permalink. Project Pandora with Battlezone is great ! Maybe some Pandora expansion some day ? It was pretty close at the end. Apparently it was almost a 3-way tie for most kills. I love the look of the Strider model there’s a really ‘no nonsense’ vibe coming off it, none of this spindly Asterian nonsense ;-). Did I see in the concept art that there’s a close combat version as well? That’s definitely what I’d be looking for. Something hard as nails with AP2 and maybe a cheeky shotgun to cause a bit of havoc with. 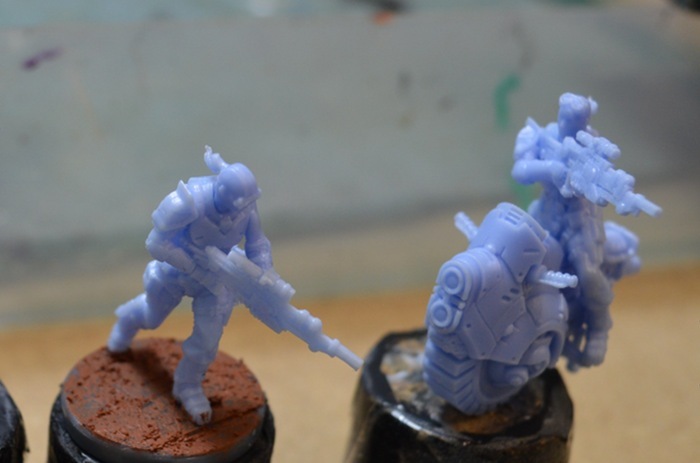 Three different factions field variations of the Strider. The one shown is an Enforcer one. 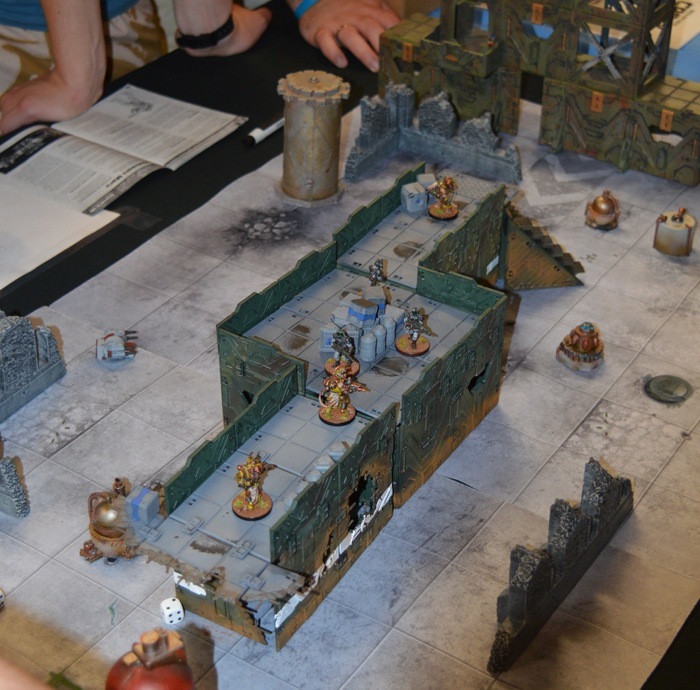 The Plague and Rebs have close combat variants with chainsaws and flamers. So no chainsaws for the Enforcers? Although if I’m being honest I’m naff at close combat anyway, the dice gods desert me whenever I get into melee. I just love the idea of a massive robot wading through a mass of squishy weaklings, kind of like the Dreadnaughts from the original Dawn of War. Partly this is a character thing, keeping the different factions different. That said, it would not surprise me if this is just the first set of Strider stats and we revisit them at some future point. I’ve not seen the kit so I don’t know how mutable it is as it stands. or whether they’d need to make more bits. Probably the latter. I am glad that you liked my pitch Jake. I got it through Fantasy Fields and the liked my custom design so much I gave them permission to sell them. thanks for the pictures. very appreciated. On digital content. I’ve just received the latest copy of Miniature Wargaming (digital subscription, naturally), and Neil Shuck’s column mentions that Baccus are looking to do the next edition of their Polemos ruleset only in a digital format. The rules examples are going to animated rather than using the traditional still diagrams, which sounds like a good idea and done well should cut down on ambiguity. 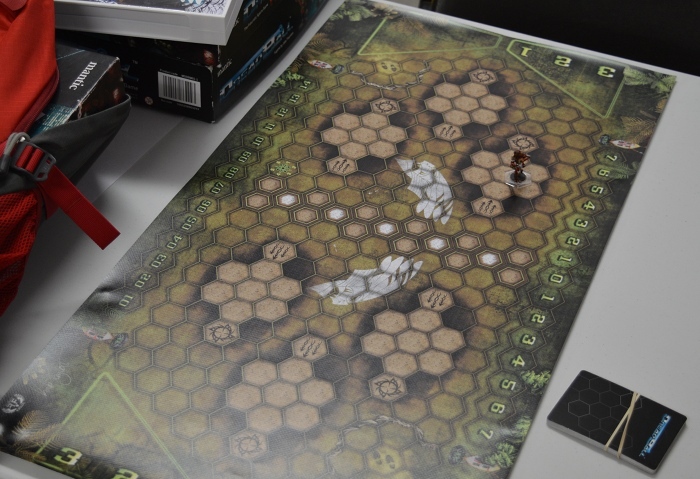 The more ambitious plan is to have the rulebook do all your working out for you when you’re playing a game. 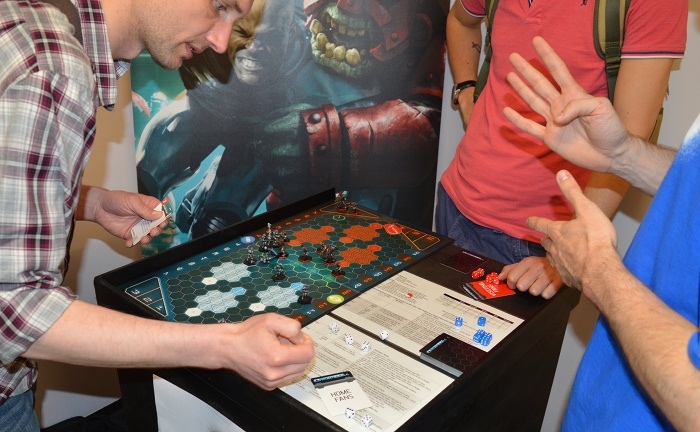 You can either enter the dice roll result or use the in-built dice rolling app, and the rules will take over from there in applying any modifiers and giving you the final outcome. Animated diagrams will be fun. I’m still not convinced by digital dice though. Seen that for many years and it’s never caught on despite multiple iterations and the repeated touting of the death of old fashioned gaming. 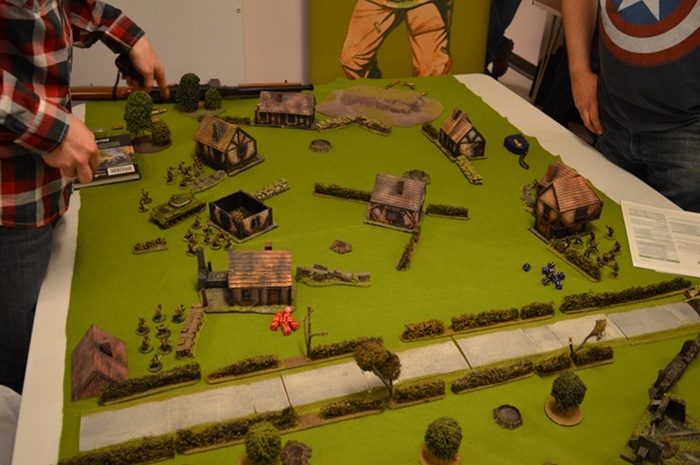 There used to be a Napoleonic set of rules which did the convention rounds and required a computer to do the sums. I forget the name. You input what you were doing and it did the number crunching for you. 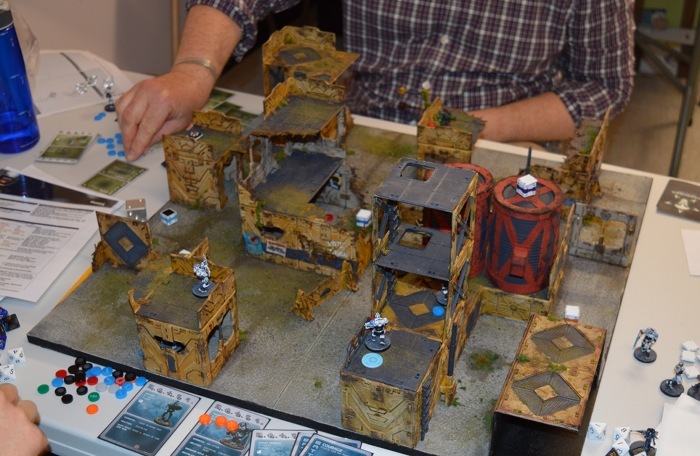 Still played on a tabletop with toys, but no need for a rulebook, etc. These days it’d be on a tablet and would be far more portable which would help. In fact, it may still exist. I just like the physical roll of the dice, and it seems that most gamers agree. I am definitely intrigued by the possibilities though, and look forward to seeing how they get on with this. Yes! I just saw myself in pictures on Jake’s blog. Made it!